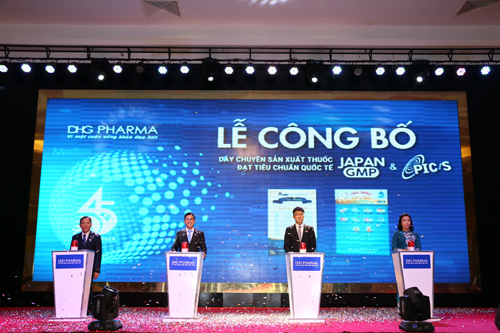 HÀ NỘI — Hậu Giang Pharmaceutical Joint Stock Company – the leading drug maker in Việt Nam – has announced two new production lines meeting the international standards of PIC/S-GMP and JAPAN-GMP. The Pharmaceutical Inspection Co-operation Scheme (PIC/S) standard has been granted for its effervescent tablet manufacturing and the certificate of good manufacturing practice (Japan-GMP) from Japan was awarded for its other tablet manufacturing. The certifications would help the company boost exports, the company’s representative said, adding that it would continue to upgrade a series of remaining lines to meet international standards in order to increase its global exports.